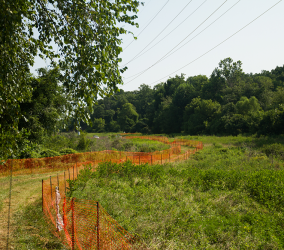 White Marsh Run Mitigation | Welcome To Stokes Creative Group, Inc.
Environmental Quality Resources, LLC (EQR), contracted Stokes Creative Group, Inc. (Stokes), to develop an effective communication and outreach strategy for Maryland Transportation Authority’s (MdTA) White Marsh Run Mitigation project in Baltimore County. 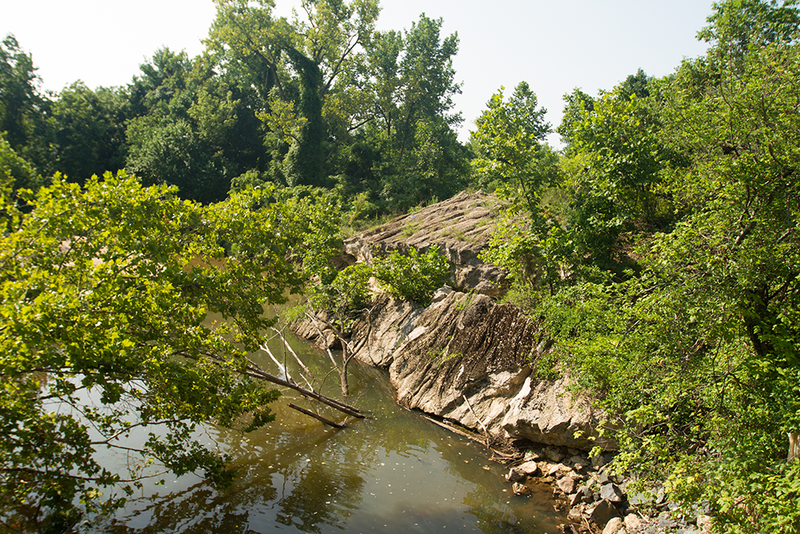 To aid the MdTA’s initiatives, Stokes crafted a fully integrated solution utilizing pre-construction and post-construction visualizations, project site tours, content creation for web updates and a customized social media plan which would keep the public, stakeholders and affected agencies informed of the project’s impacts, progress and changes while highlighting the environmental work done by the MdTA. 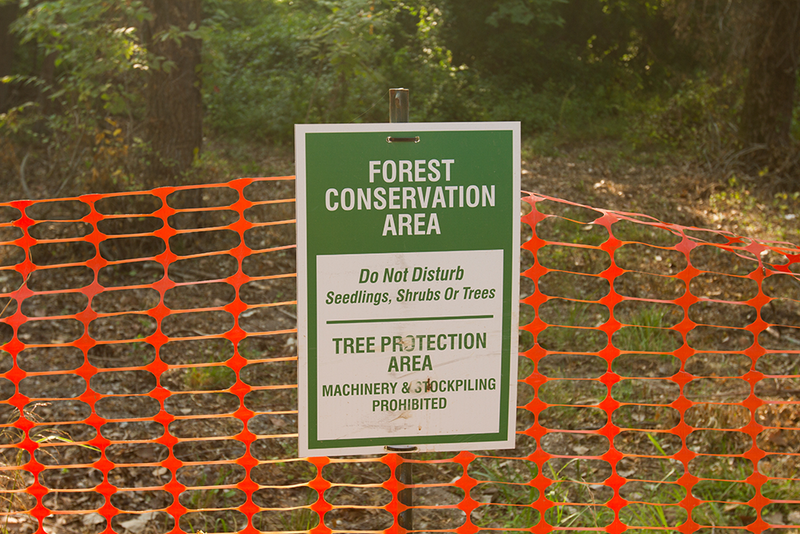 Through the implementation of photographic images, arranged site tours and regular updates to the website and social media channels, Stokes gains to establish a better understanding of the project and increase community support while maintaining a positive public message. 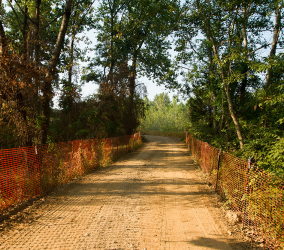 With increased community support, Stokes aims to diminish any disruptions that would impact the project team’s ability to complete the project as efficiently as possible within the project schedule and deadlines. 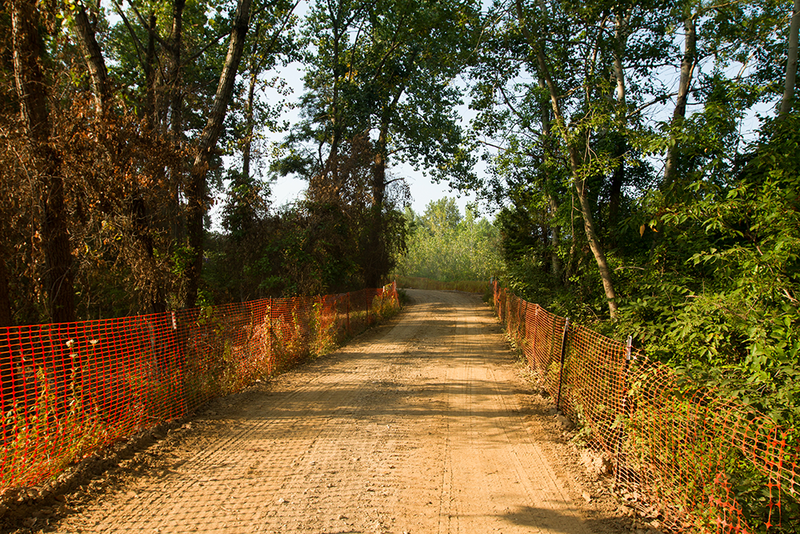 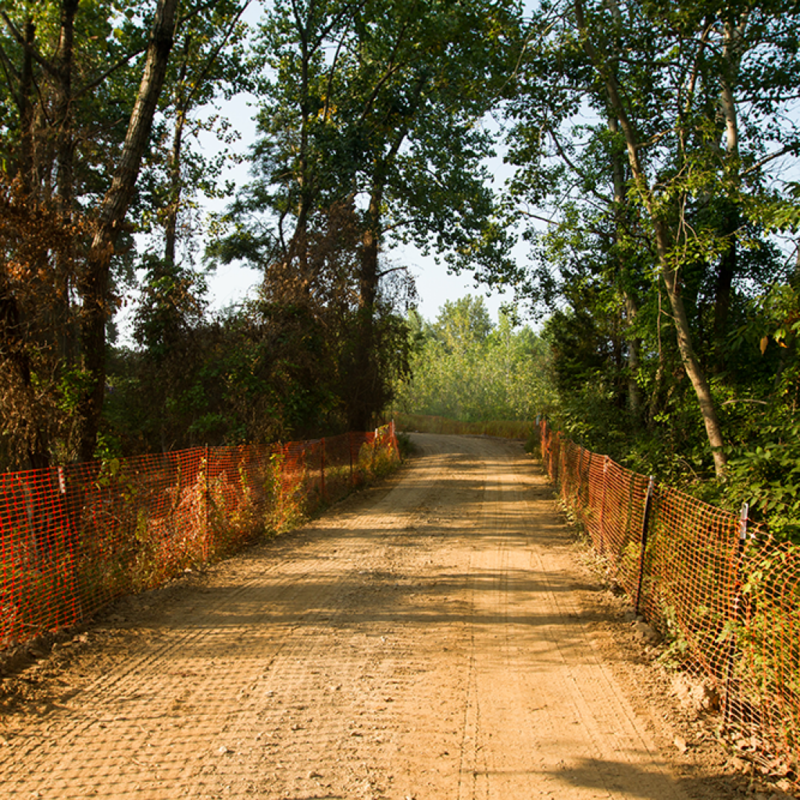 This access road is lined with tree protective fence to help maintain the natural environment with minimal disruption from the White Marsh Run Mitigation construction. 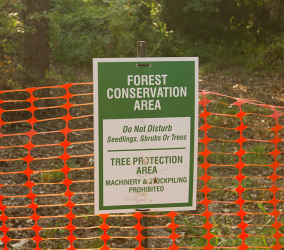 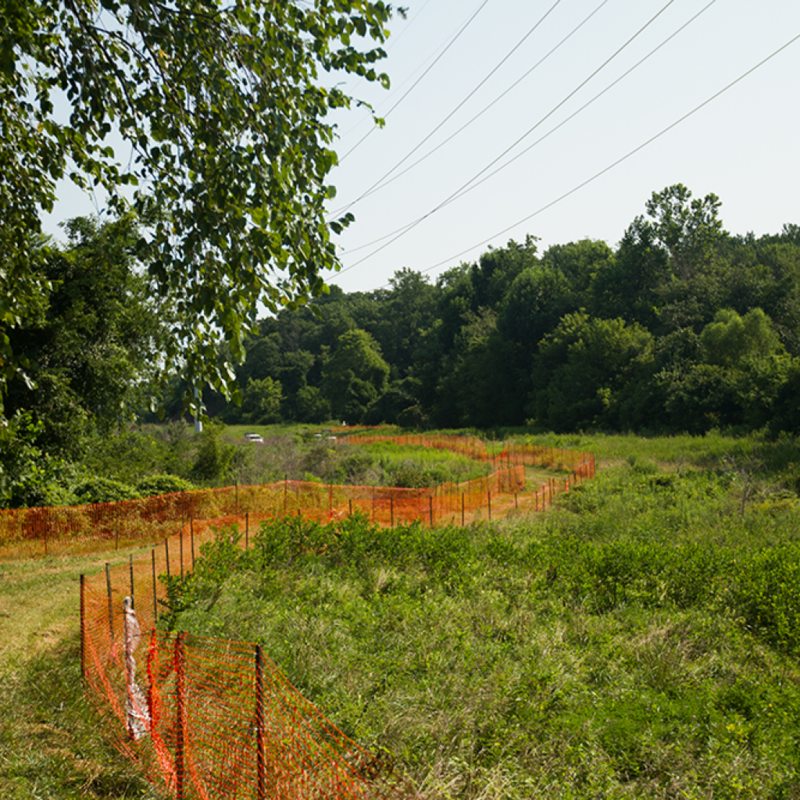 Tree protective fencing and environmental conservation signage run throughout the White Marsh Run Mitigation site. 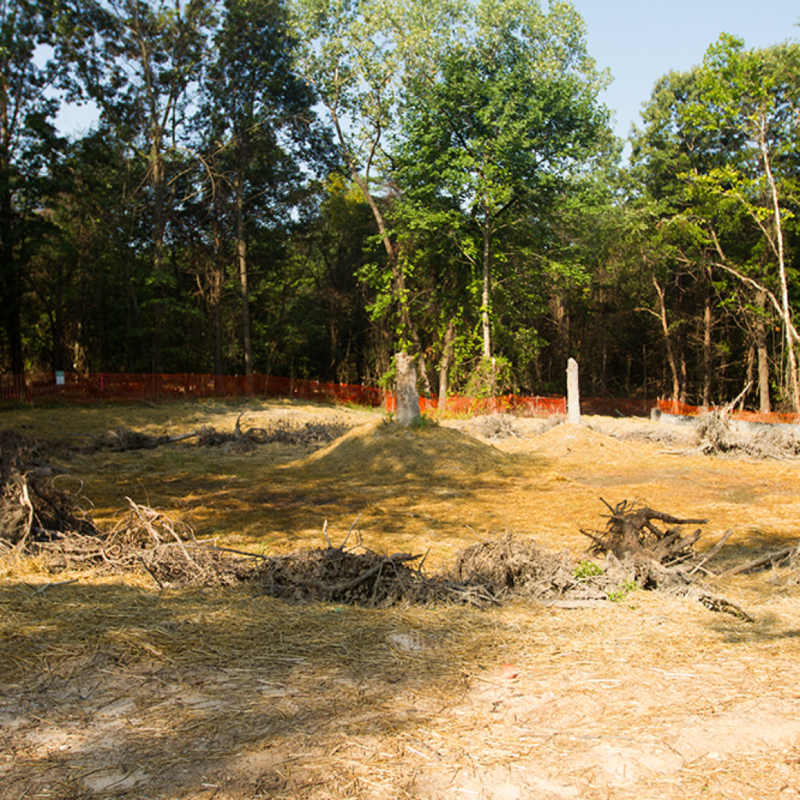 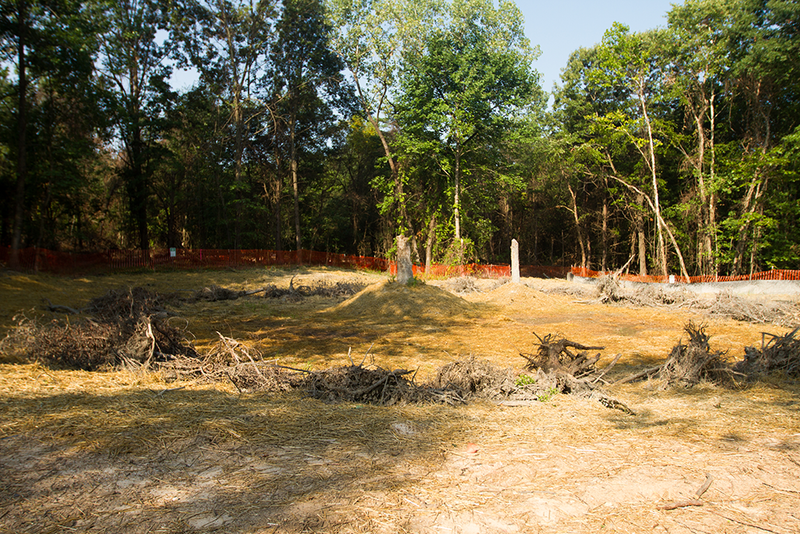 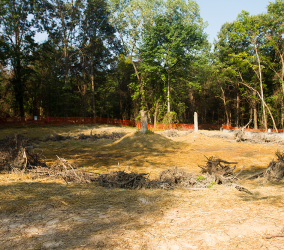 Tree stumps removed from one area of the project site are reused in another location to create what will become a vernal pool. 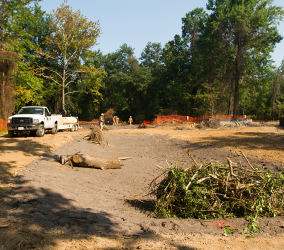 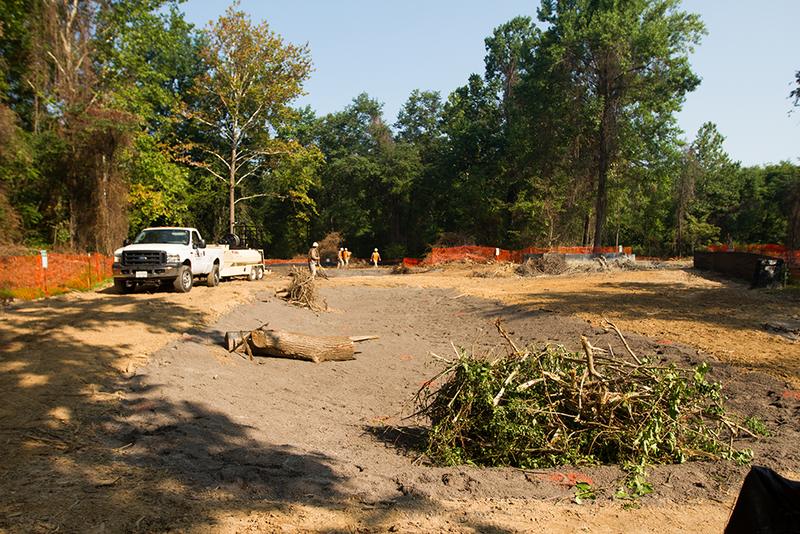 Workers construct vernal pools with branches and trunks of previously removed trees from the same site. 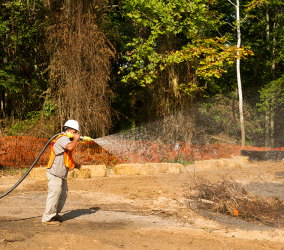 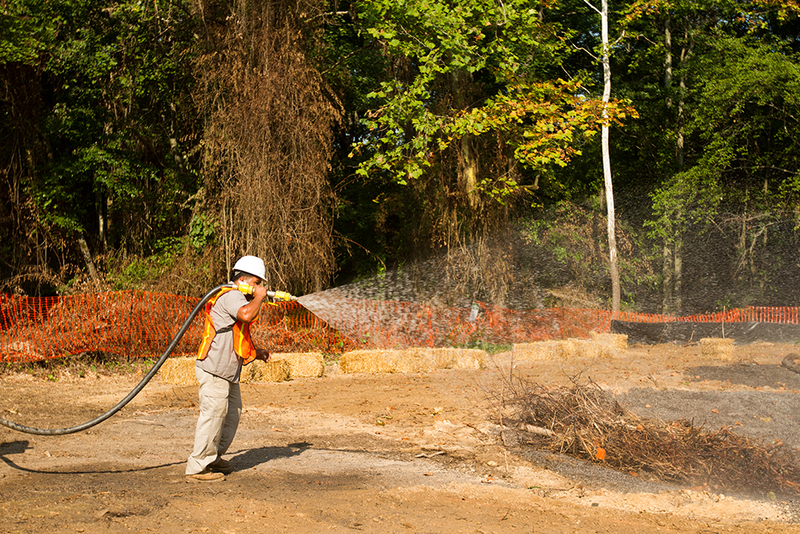 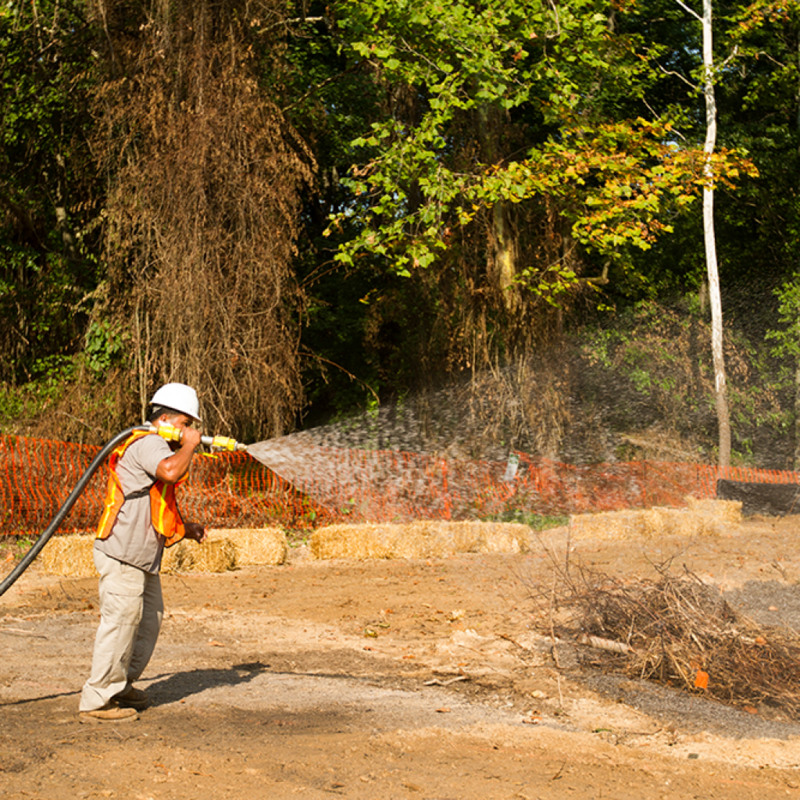 The process of Hydroseeding, carried out by this worker, helps to both control erosion and prevent the introduction of non-native plant species on the White Marsh Run Mitigation site. 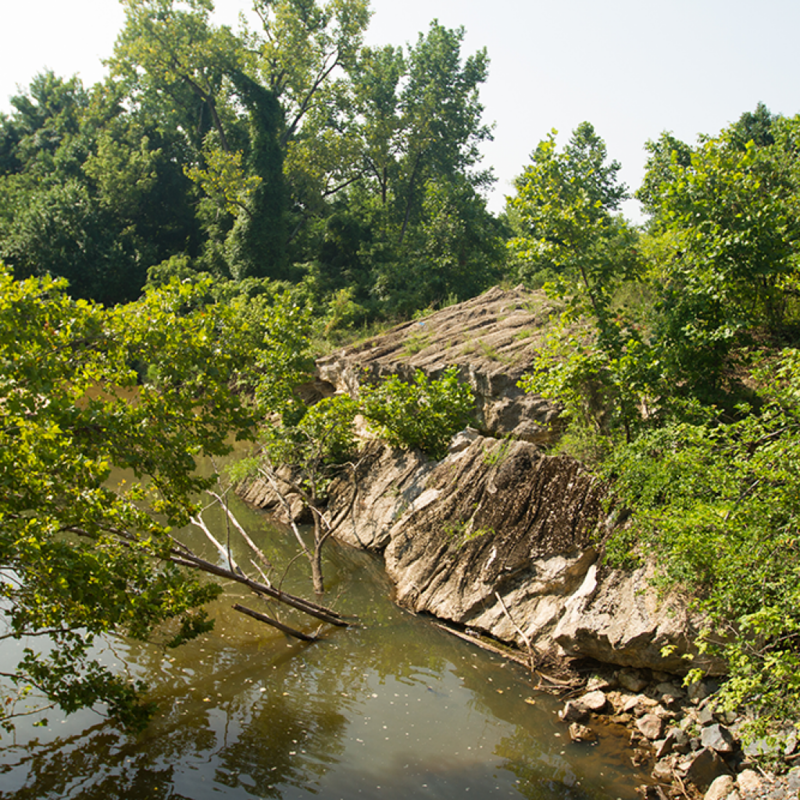 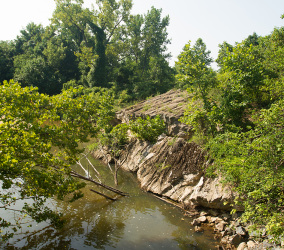 Existing conditions of the stream before the White Marsh Run Mitigation restoration begins. 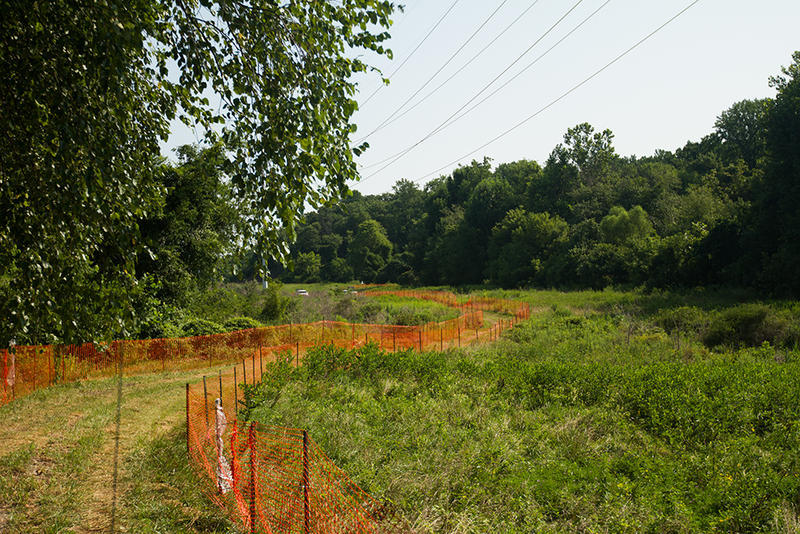 Baltimore Gas and Electric Company high voltage power lines run throughout the White Marsh Run Mitigation project site.